When you take a leap of faith and promise yourself to start the business of your dreams, an empty chair in an Office For One symbolizes two things. The first is that you’re now the captain of a new ship about to take its maiden voyage. There’s no boss looking over your shoulder, no cubicle mates to gossip with at the water cooler, no time-clock to punch. You’re free to chart your own course, drop anchor in any port of call that looks interesting, and decide how to spend whatever treasure you might discover along the way. That chair represents an end to over-stuffed committees, snore-fest staff meetings, annual performance reviews, and snarky office politics…and the beginning of a fasten-your-seatbelt adventure in which every risk and every reward will carry your signature style. It’s the place where you’ll imagine, you’ll plan, you’ll create, you’ll reinvent. If it’s comfortable, you may even take occasional naps in it with no worries of censure or interruptions, for you’ll know that you – and you alone – have earned the right to sit there as long as you want. Not every aspect of an empty chair is quite so welcoming, however. Depending on how many years you spent being an employee of someone else, there’s a possibility that all of the things you couldn’t wait to get away from are among the first things you’ll miss when you become your own boss. The organizational structure, rules and deadlines that previously allowed you to multi-task with gusto from 9 to 5 are no longer part of your daily routine, a dramatic shift that – in the absence of self-discipline – can lead to binge-watching multiple seasons of TV shows, playing computer games, and spending way too much time on email. The lines between your professional life and your personal life can become blurred, especially if they co-exist 24/7 under the same roof. Calling in sick to play hooky isn’t what it used to be, either, nor can you delegate tasks and errands when you’re caught in a crunch. As the saying goes, it’s lonely at the top. It can be incredibly lonely sitting in that chair, too. Excerpted from Office for One: The Sole Proprietor’s Survival Guide, now available on Amazon and featuring the advice of over 30 experts on how to go it alone without getting lonely. 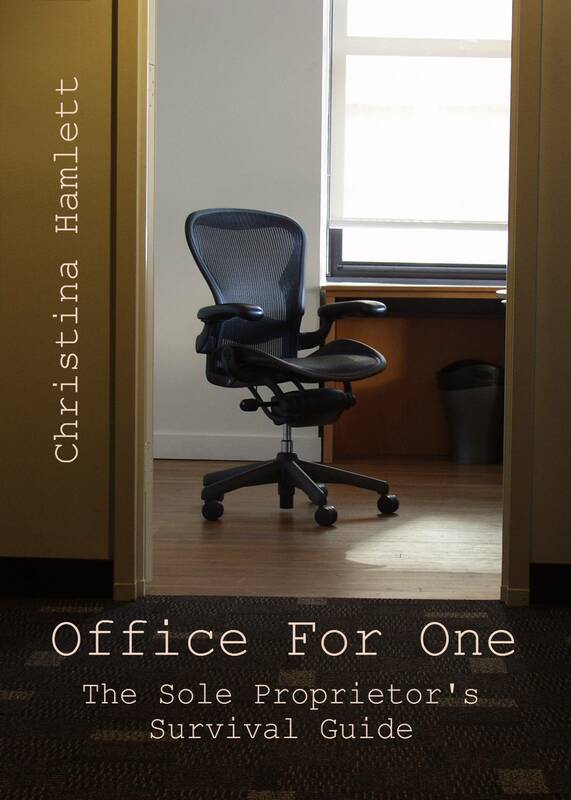 http://www.amazon.com/Office-For-One-Proprietors-Survival/dp/1502582147/ref=sr_1_1?ie=UTF8&qid=1414004341&sr=8-1&keywords=office+for+one. ← Don’t Touch That Couch!